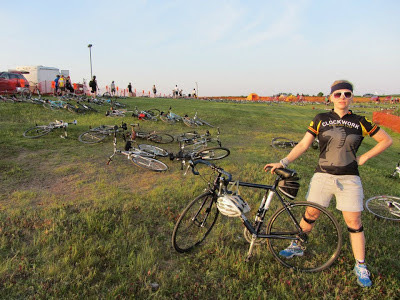 Last year about this time, I participated in the MS150: a 150-mile bicycle trip from Duluth to Minneapolis, Minnesota. As part of the gig, my team (Clockwork Active Media Systems) had to ride north to Duluth on a bus. 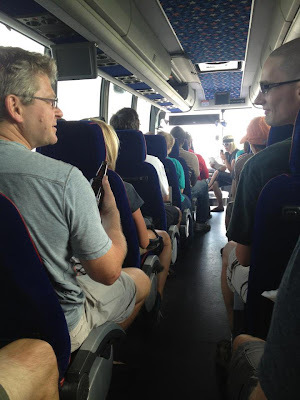 One of the owners of Clockwork asked me to "emcee" the bus ride. I was incredibly flattered, until I realized that basically meant "read the rules of the ride to the people on the bus" because "nobody else wants to do it". Give them what they want, I say. If you're going to do something do it well, I also say. I went to the front of the bus and took the mic (a CB piped throughout the bus speakers). The bus driver ruined all of the fun and told me I couldn't stand while he was driving. So I sat down. would anybody be interested in spooning? I silently returned to my seat. That Kady. She always goes out with a...pffffffft. Cannibal jokes and dead grandmothers? Throw in something about abortions and that's a show.